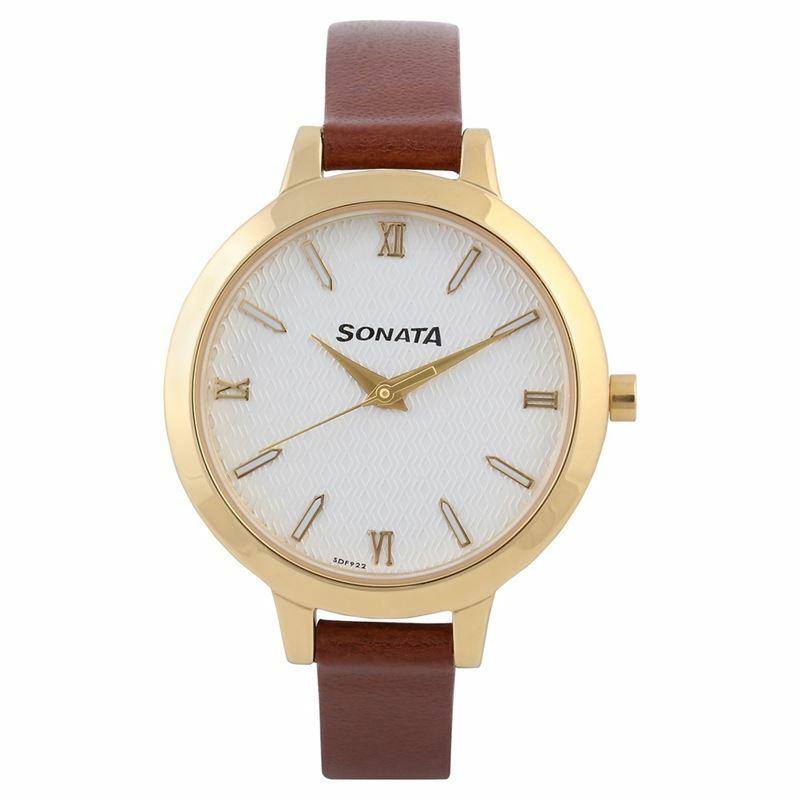 This analog watch for women has a round, silver white-coloured dial, enclosed within a brass case, featuring plain three hands, Roman numerals at quarterly intervals and markers to indicate the time. Made of leather, the strap is brown in colour and it is secured with an adjustable leather buckle for closure. The watch is user-friendly, and it comes with a 3 ATM.